On Monday, September 15, Performing Arts Workshop’s Board of Directors voted to endorse a proposition for only the second time in our nearly 50-year history. The proposition in question is Proposition C, and for those of you who care deeply about access to arts education for San Francisco youth, listen up. 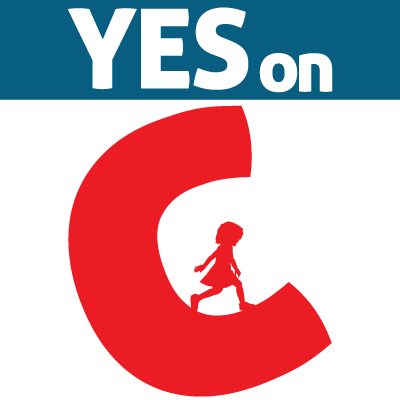 Proposition C includes the reauthorization of two public sources of funding for arts education – the Public Education Enrichment Fund (PEEF – formerly Prop H) and the Children’s Fund. Public Education Enrichment Fund. A third of PEEF goes directly to the SF Unified School District for arts, sports, libraries and music. The measure funds a librarian in every school, visual and performing arts teachers (employed by the SFUSD) as well as dollars for schools to work with community organizations like Performing Arts Workshop. In addition to arts education PEEF supports universal pre-k and other student supports like health and wellness programs. Children’s Fund. Children’s Fund dollars are granted out by the Mayor’s Department of Children Youth and Families in a competitive process to support after-school programming. Many grantees of DCYF are arts education organizations, like Performing Arts Workshop, that partner with community centers and schools to provide high-quality arts education in the after school hours. Through DCYF, the Workshop brings year-long arts learning to nine after school programs, and three transitional housing centers for homeless youth. Who is against Prop C? No one. Prop C is the only measure on the ballot for which this is no paid opposition. The last five years have been hard for many communities in California, and San Francisco was no exception. Arts programs in and out of school time have suffered. However, thanks to investments like PEEF and the Children’s Fund, thousands of San Franciscans have been able to grow up with deep engagement in art making. But don’t take my word for it! Hear from Superintendent Richard Carranza and Mayor Ed Lee! For more information on this issue and to learn about other candidates, consider joining Performing Arts Workshop at the Arts Town Hall on Monday 10/20 at Yerba Buena Center for the Arts! All SF Board of Supervisor Candidates have been invited – see the list here, and questions will range from artist housing to arts education. You can be there’ll be a question about Prop C!